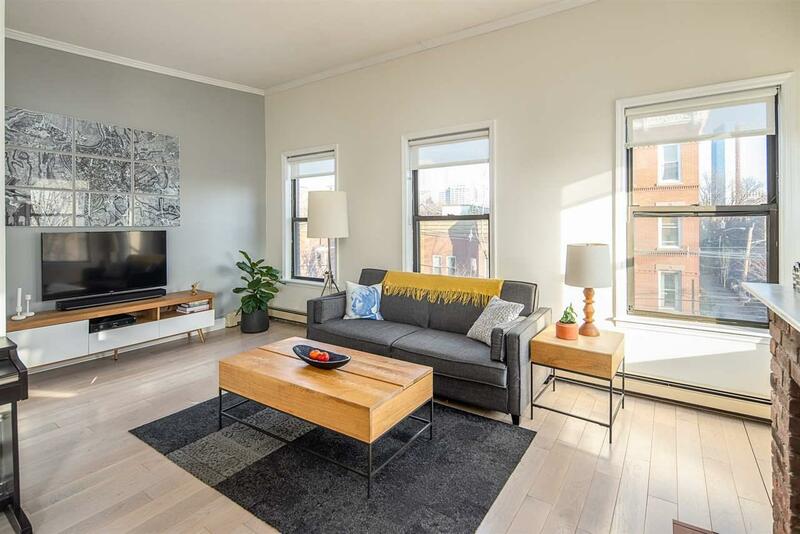 Welcome Home to this Stunning, Sun-drenched, Open Layout Condo in Downtown Jersey City. With High Ceilings, Over-sized windows, and Southern and Eastern exposure, this One Bedroom Corner Unit bathes in natural light. Sleek and modern kitchen with SS Appliances, White Quartz Breakfast Bar, and Under Cabinet lighting. In-unit Washer/Dryer. Newly Renovated and Expanded Bathroom with wood and stone accents. Condo boasts White Oak Hardwood Flooring throughout, and two (yes 2!) Fireplaces - classic brick and white wood in the Living Room and a working Electric Fireplace in the bedroom. Bedroom also has built-in Storage and a perfectly designed Walk-in Master Closet. Versatile Bedroom "Nook" great for an Office or Nursery space. And don't forget to check out the Roof Deck - the perfect 3-Season outdoor space for BBQing and Relaxing. A must-see. Listing provided courtesy of Prime Real Estate Group:201-792-4300.